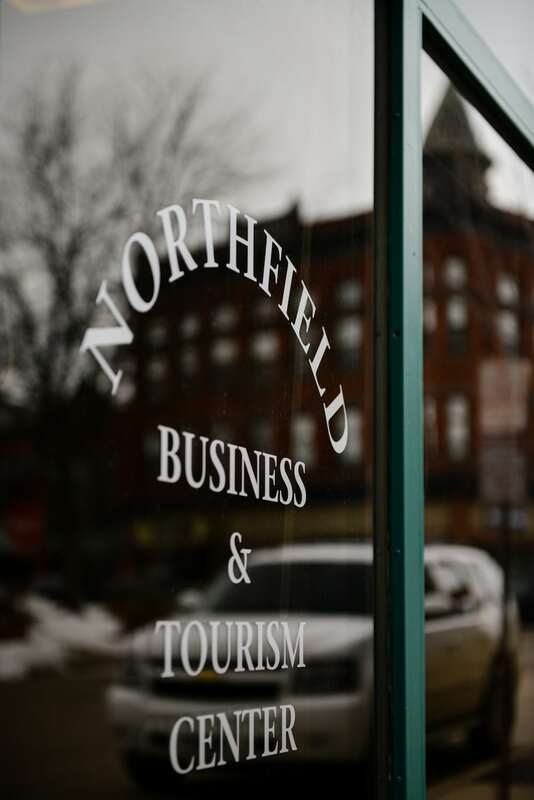 We partnered with the Northfield Chamber of Commerce on their recent project located at Chamber 19 Bridge Square. 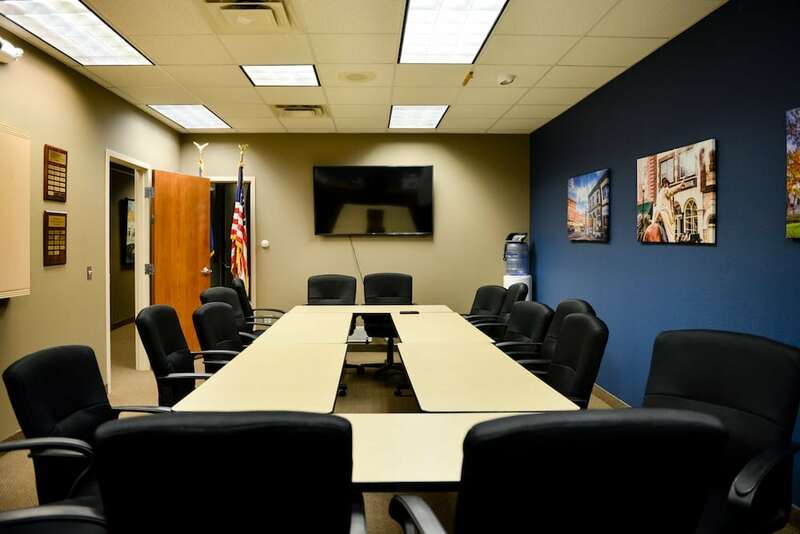 The project consisted of a conference area in the back area and a new reception and lobby area. 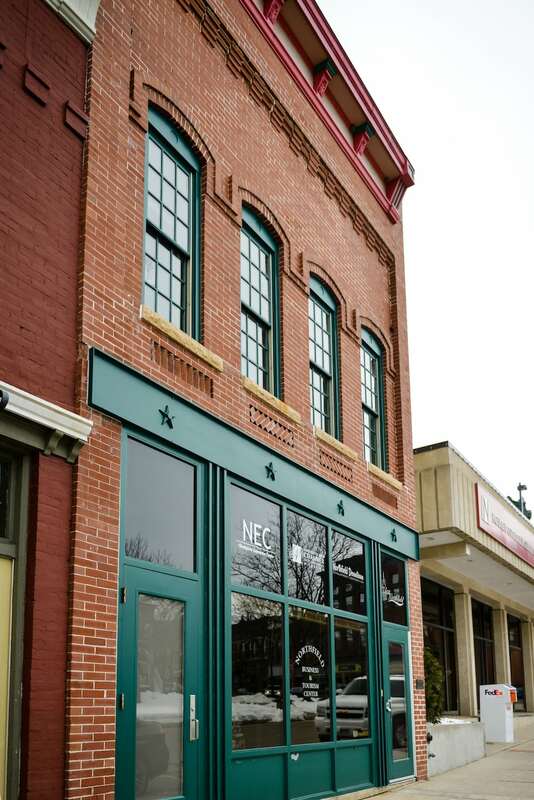 Now that the project is complete, we sat down with Todd at the chamber to talk about his experience partnering with NCC. This project was a unique process as – part of the costs were being paid for by the landlord, and part by the tenant. NCC worked with both parties to ensure the needs of both sides were met. What was it like partnering with NCC on this project? “They were extremely thorough and kept me well informed on the status of the project. They were ahead of schedule. Keeping in mind the time constraints they made room for them to move some of our stuff over. There was no surprise at the end of the project, they were willing to work with all of our last minute changes. Being an integral part of the community, what connections were you able to utilize for the project? General information: This is a Commercial leased space, KOMA Architects designed a new conference area in the back area and a new reception and lobby area. 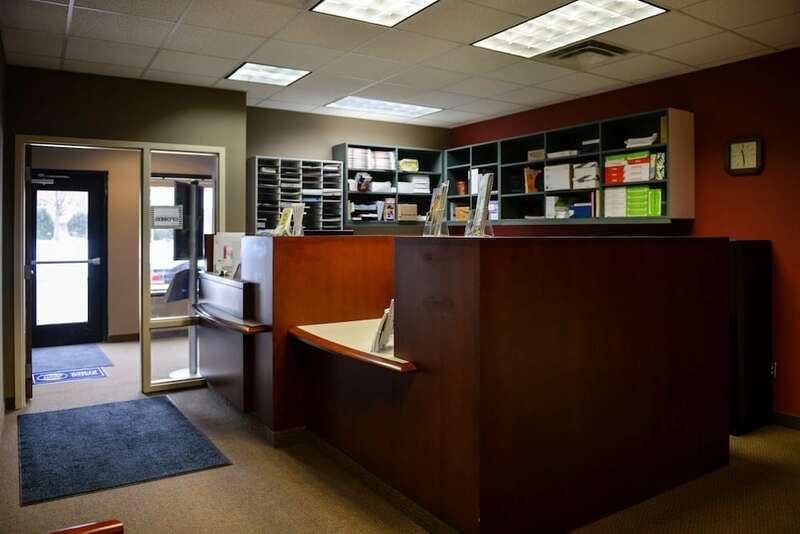 The Cabinets in the reception area are repurposed cabinets form the old US Federal Credit Union. Floor patching, all new paint, added a couple new doors and hardware, patched in the Acoustical ceiling.